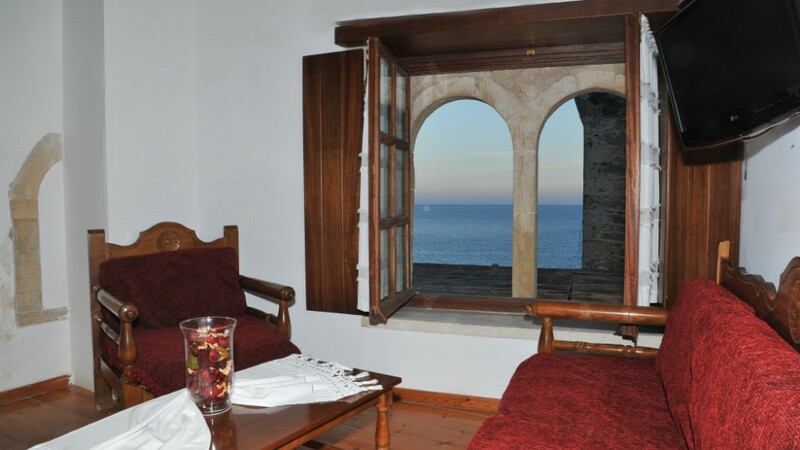 Located in the castle of Monemvasia, the traditionally built and decorated Pietra Suite offers a snack bar. It features an elegant and air-conditioned unit with Aegean Sea views. The beach of Kakavos is 1 km away. Fitted with a tilted, beamed roof and parquet floor, this very spacious suite of Pietra comes with a Nespresso coffee machine. It has a minibar and a seating area with sofa and flat-screen, satellite TV. Free toiletries and hairdryer are included. Guests may enjoy light meals and refreshing beverages at the property’s snack bar. Room service is provided free of charge. Several restaurants, café bars and mini markets for the basic supplies can be found within proximity. Sparti Town is 85 km away and Athens International Airport is at a distance of 300 km.